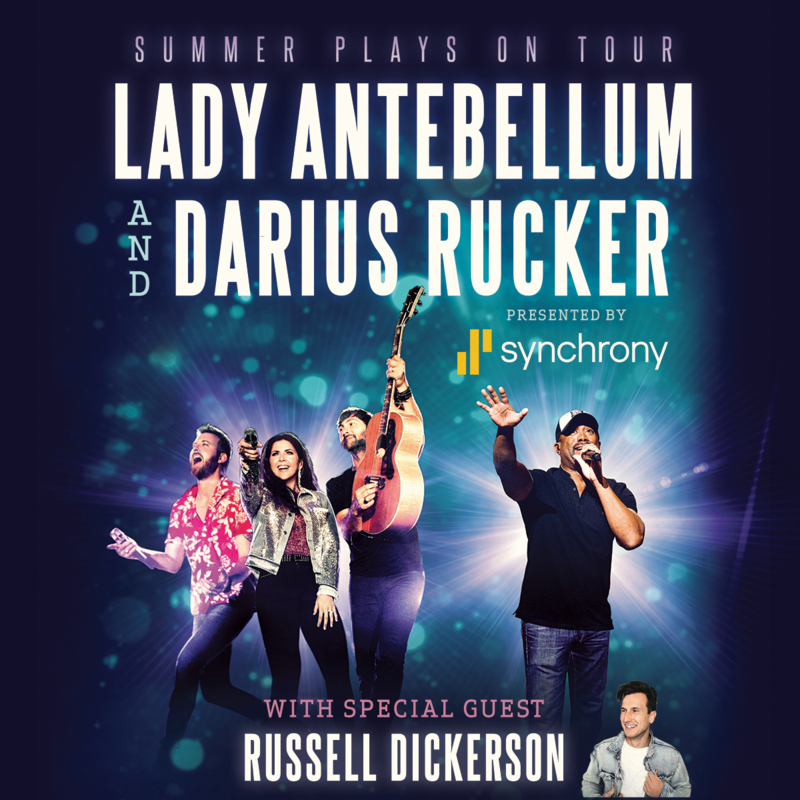 Seven-time GRAMMY award-winning and current nominees Lady Antebellum and three-time GRAMMY award-winner Darius Rucker announced today that they will head out on the road together for their co-headlining SUMMER PLAYS ON TOUR presented by Synchrony, kicking off on July 19 in Toronto, ON. The trio and Rucker share a long-time friendship and touring history, setting the tone for a fun-filled stint across the country and Canada, for which special guest Russell Dickerson has been invited to join. With dozens of No. one hits between them the tour offers a playlist-worthy night for fans which will also include spontaneous collaborations throughout the evening. Fans can purchase tickets now HERE. Live Nation is the national tour promoter. The Summer Plays On Tour is presented by Synchrony.